You are the ruler, I am a subject, you want loyalty, I’ll give you loyalty. You are the ruler, I am the subject, you want my sacrifice, I will sacrifice for you. This lifetime, we’ll only be ruler and subject…… cannot become the one who accompanies you to experience everything. A deposed empress, a failure of a substitute. Charging into battle, he was the emperor, and she, his general. But within the intimacy of their military tent, he was her husband, and she, his wife. But everything was star-crossed. For the one he loved the most, he would push her into hell again and again. Okay, so I never write reviews. But I had to for this novel. First of all, the translator. Holy crap, the consistency is insane. Even if they miss a day, they will make up for it. They are keeping up with their schedule of one release a day. These aren't short chapters either, chapters are filled with complexity and depth that the translator is properly able to convey. So I just wanted to give a giant shout out and heartfelt thanks to the amazing translator. Second. I've read my fair share of political... more>> intrigue and tragedy novels and this novel is up there for me. I love the character growth and progression within this novel. Each character is fleshed out and you truly become immersed in the setting, making the novel all the more poignant. I don't have the words to describe how much this novel makes me feel. I have no clue why this novel has such a low rating. Please give it a shot. This is not some generic political novel with pacing issues that has an OP MC. This story takes its time to build up tension and to deliver gut-wrenching blows. Give this novel a few chapters, while it has a slower start, the journey is worth it. The description is certainly interesting. The quality of the translation is okay, it’d be great if the translator got an editor as it has lots of grammatical errors. But I really appreciate the translator’s hard work. I left a 5 star as there are too many 1 stars. We’ve yet to see how this novel will progress so, rating will change depending on that. I first get to know this novel from a recommendation from other site. Although the translated lines can be a bit confusing sometimes, but it is still a decent read. You know when you read a chapter and you instantly know it's a good novel? Yeah, this novel fit the bill. 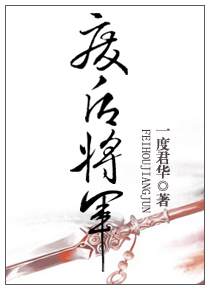 While the title is similar to other common, standard face slapping novel, the content inside is actually a rarely seen novel with good character builing. The story might not be everyone's favorite, but I believe it deserve higher score. Our heroine was a normal girl who, after her father died, been choosen as sacrifice to the mountain god. Almost died on the mountain, she was picked up by second prince's... more>> faction and entered competition with other orphan to stay alive. Like the summary suggest, she would be the second prince's most trusted attendants, but being the general-much less empress, is still far away from the current chapter. The author didn't take the lazy way here. We started from the bottom and then follow her as she grew up.